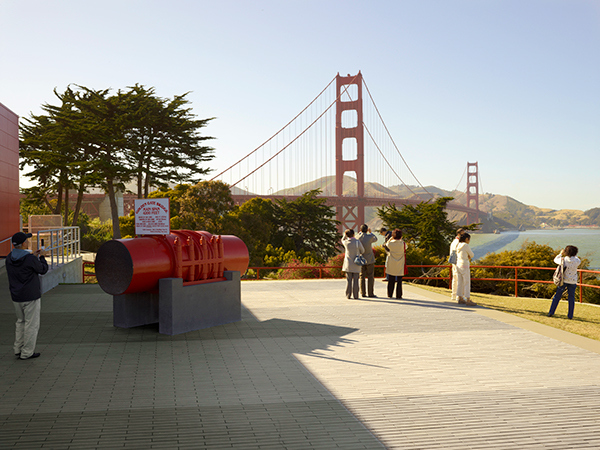 The Golden Gate Bridge, a San Francisco icon, spans the foggy bay, connecting the city and the majestic Marin Headlands. 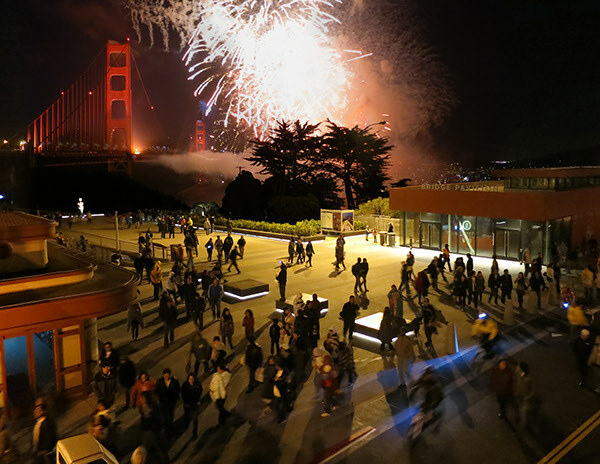 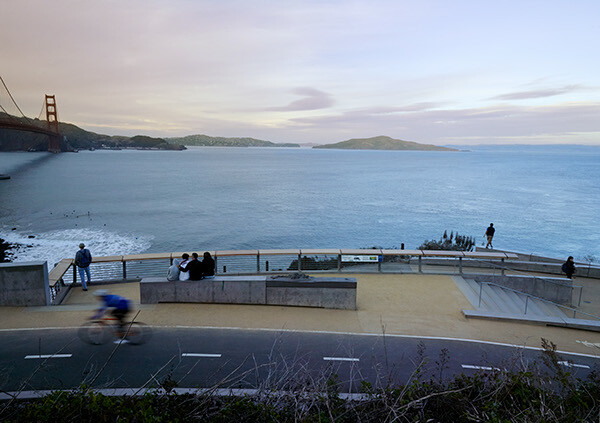 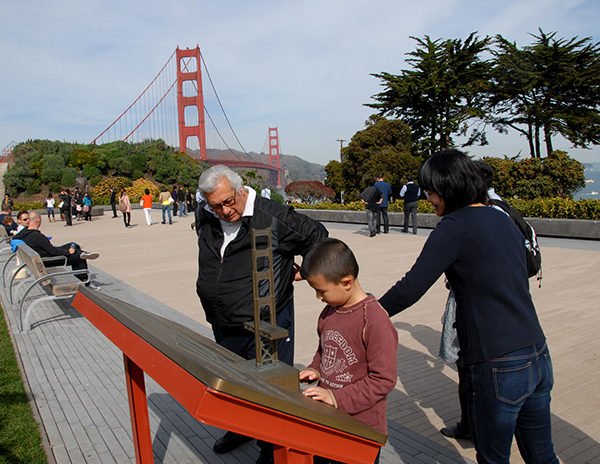 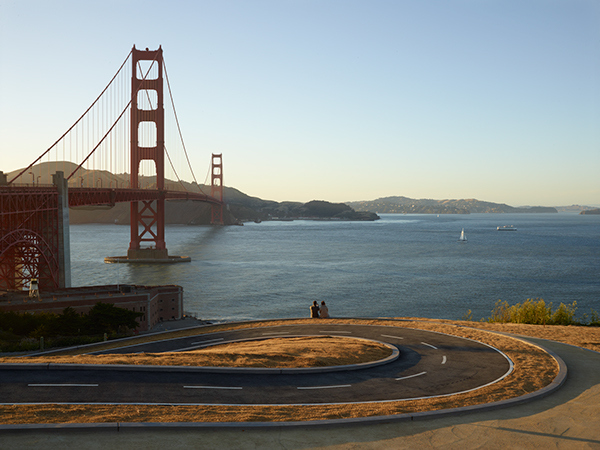 A new plaza created for its 75th Anniversary enhances access and visibility of the breathtaking Golden Gate and San Francisco Bay. 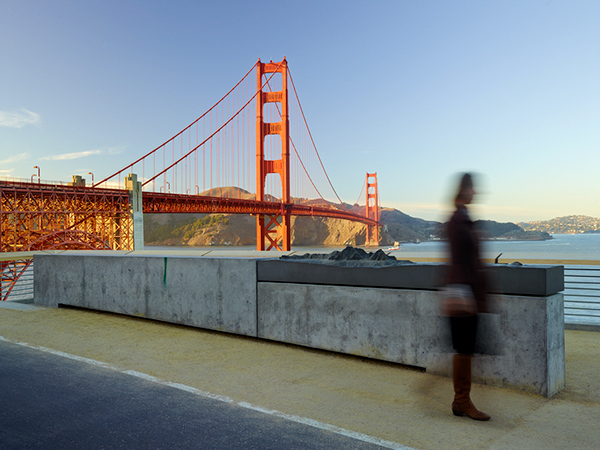 This new public space and visitor center honor the bridge and tell the story of its creation, emerging as a new cultural and ecological hub at the bay’s edge. 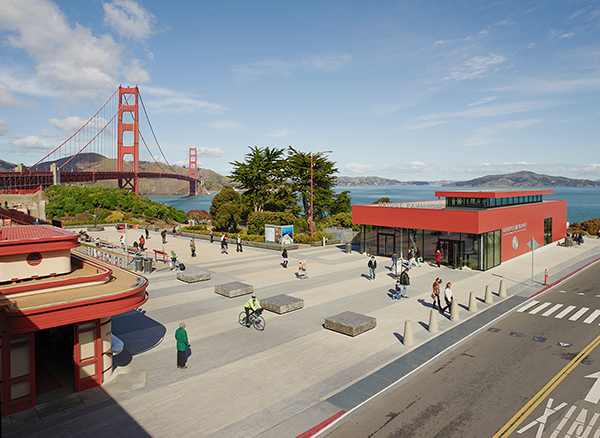 In addition to the spatial and formal moves applied to the site, the design process also included significant environmental remediation, bringing the Golden Gate Bridge Plaza more in line with contemporary ideas about ecologically appropriate environments. 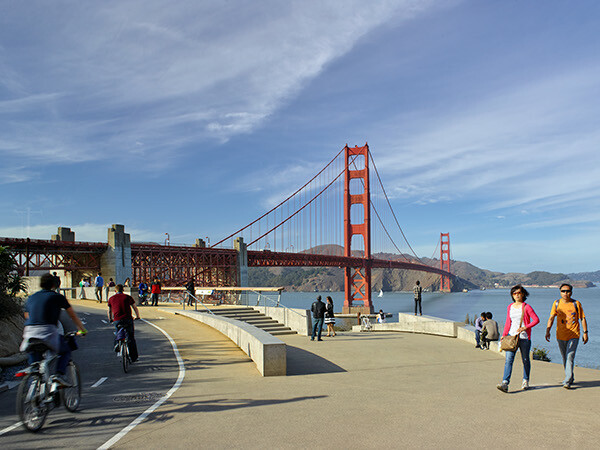 Plants used in the project were collected from local watersheds and cultivated in native plants nurseries in the Golden Gate National Recreation Area before being transplanted on-site. 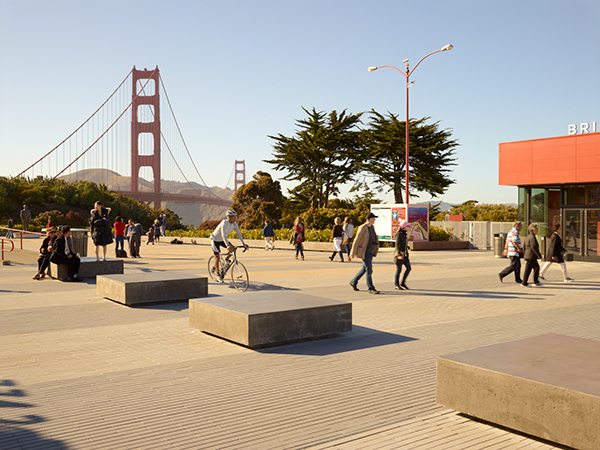 The plaza acts as a showcase for preserving biological diversity of Bay Area plant species, reinforcing a unique sense of ecological and cultural place. 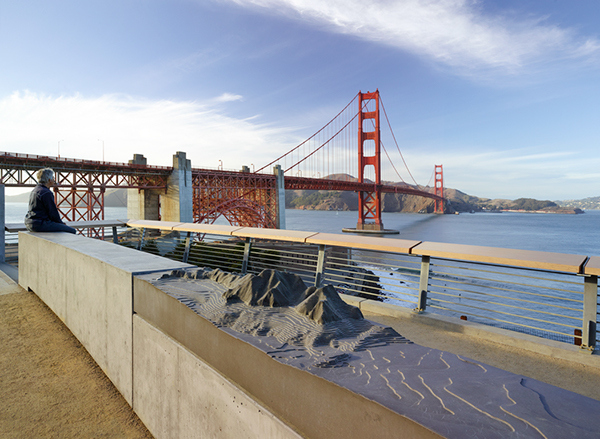 This new design is truly accessible to all, allowing visitors to experience the bridge and its rich history and majestic views in inspiring new ways.